Fishing is still real good. Not as many big fish around now but still fish up to 30 inches and some days they are busting bait on the surface. 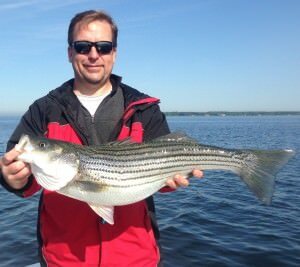 Fishing on the Chesapeake Bay is still real good with stripers caught over 30 inches. Most days fish have been feeding on the surface. Poppers and jigs have produced. Fly fishing has been good also. Many of the anglers including fly fisherman have caught their biggest striped bass ever. Fishing is still really good. Soft plastic jerk baits and swim baits are both working equally well and fly fishing is great also. 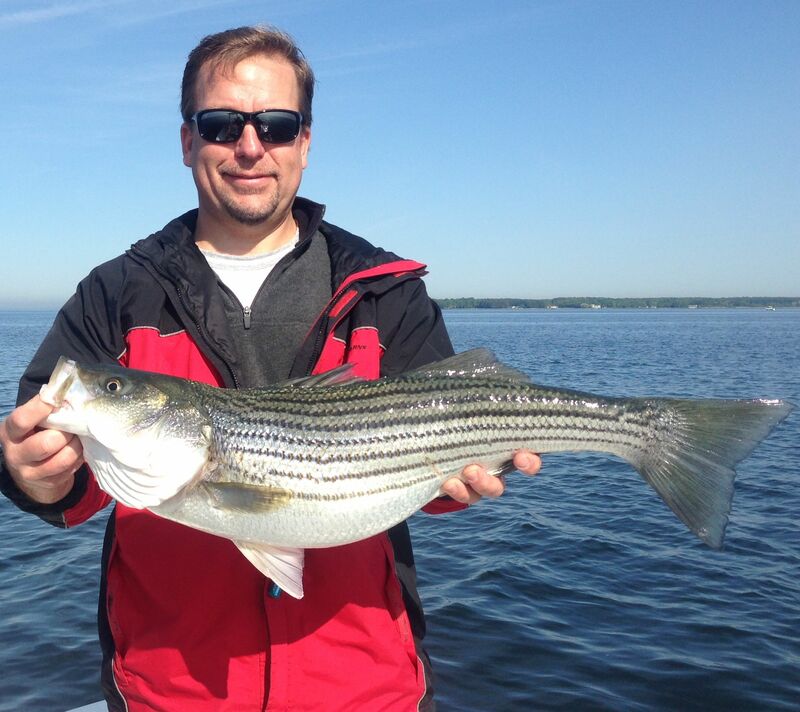 At times the big stripers are busting menhaden on the surface. Fishing is still good with fish over 30 inches. Jigging with soft plastics and at times top water plugs have been productive. Flyfishing with half and halfs on sinking lines have also been catching good fish. The fishing on the Flats is still pretty good but Eastern Bay has really lit up the last two days. Fish over 30 inches have been busting bait on the surface. Poppers and jigs have caught fish as well as flies. The Susquehanna Flats has been good with the topwater bite turning on this week. Eastern Bay should be hot any day now as the stripers finish spawning. 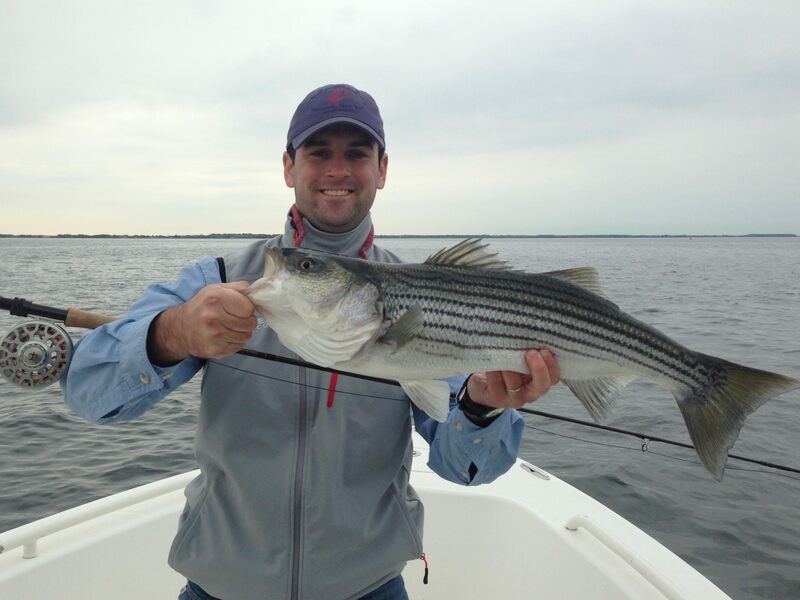 The first stripers to show are usually the biggest. This is one of the best times to get a trophy striper on the fly. … fishing season. I am srarting to book trips for the Susquehanna Flats in April. Looking forward to seeing you at Tie Fest on March 7th at the Prospect Bay Country Club. Stripers have been breaking at times lately. Some days they are mostly small and some days there are nice fish too. Also has been some fish jigging in 20 to 30 feet of water. We have caught a few bluefish too. Breaking fish should continue to get better thru summer. hopefully some Spanish mackerel will show as well. 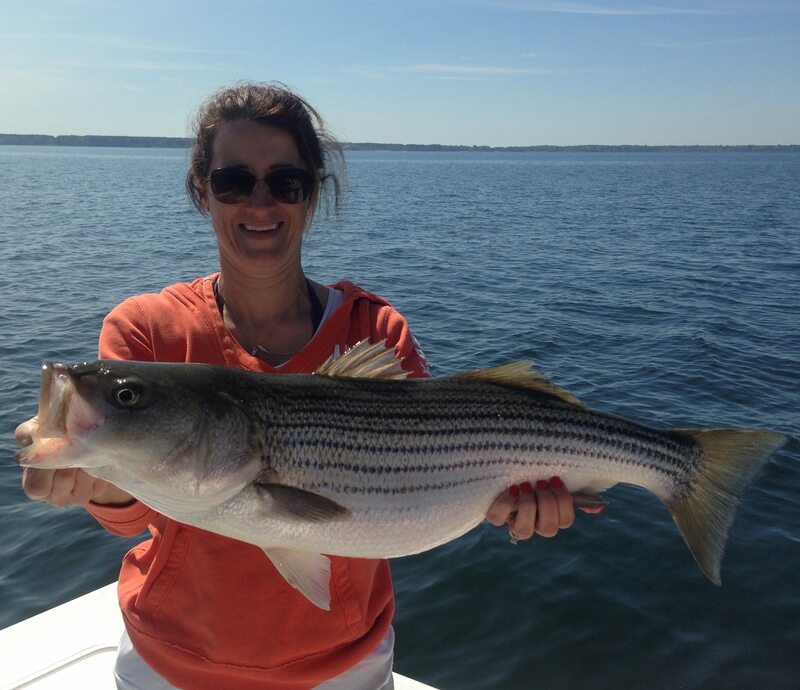 Fishing really picked up last week with stripers up to ten pounds and a few bigger. At times they have been feeding on the surface but otherwise on offshore structure. Soft plastics on spinning tackle and flyfishing with sinking lines. 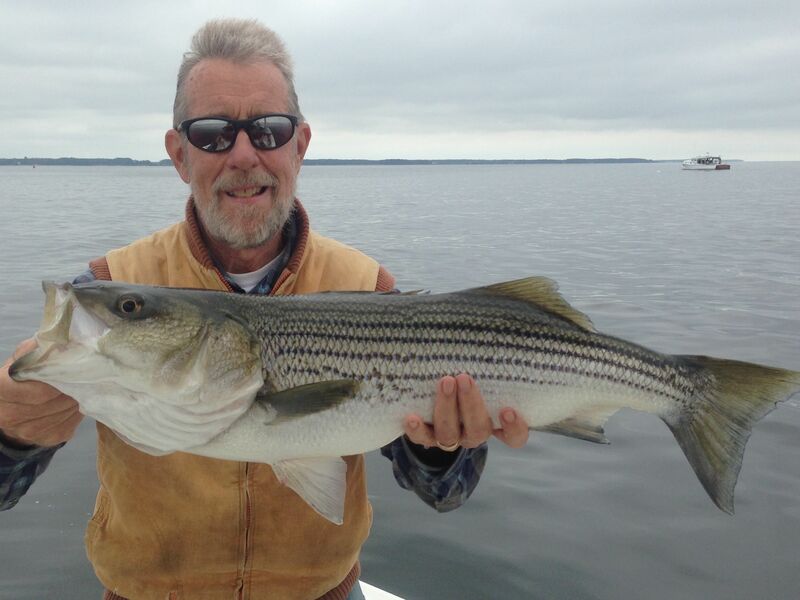 Fishing has still been good for stripers from 20 to 27 inches with a few 30 inchers around. We are catching most of the fish jigging or flyfishing with sinking lines, but there have been some breaking fish. Some of the breakers are small but some of the schools have striped bass up to 24 inches. As summer heats up, the breaking fish should only get better with bluefish mixed in and hopefully spanish mackerel also. Fishing has been real good for the last three weeks. Stripers up to 30 inches are hitting jigs and flies in 10 to 30 feet of water. There have been some breaking fish. Some of the breakers are small but there can be larger fish underneath them. As summer warms up we should see more breaking fish and also bluefish and spanish mackerel. 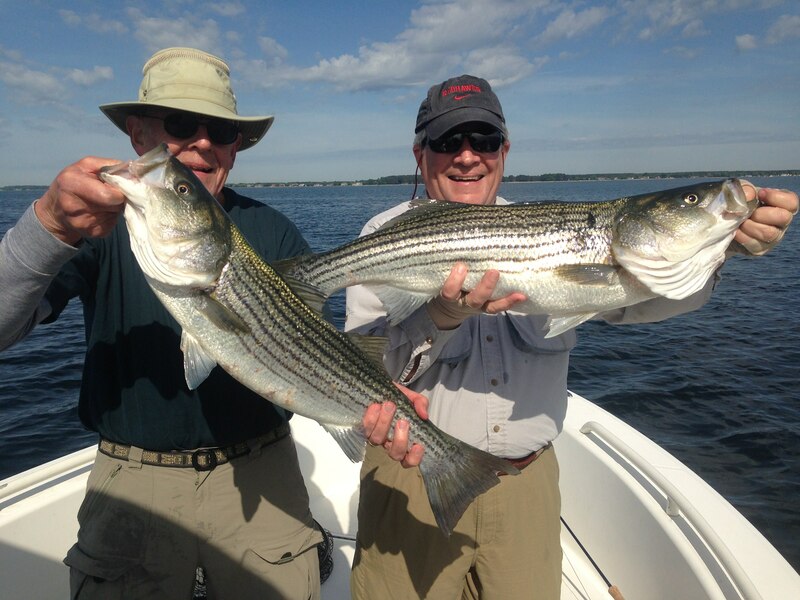 … but when they do break there have been some really nice stripers. The shallow water bite on topwater plugs has been good early and on cloudy days. with stripers and blues mixed and a few spanish mackerel. The best fishing is when the water is flat but on Monday they were breaking good in a big wind. We have also caught a few redfish on structure and in shallow water. have been breaking real good for the last week. Stripers have gone up to 24 inches with a few bigger and blues up to 22 inches. They have been hitting on poppers, bucktails, and spoons. Fly fishing has been great also. In the shallow water we have caught stripers, afew small redfish and a couple speckled trout. was great this year, with lots of fish and big fish. We landed several stripers over 40 inches. Now I am fishing out of Kent Narrows fishing the Eastern Bay area. Fishing hasn’t been on fire yet but we have caught some nice fish up to 29 inches. Fishing should only improve as more fish move down the bay.